We are a drug and detox center that specializes in not just getting you body free and clear, but your mind and spirit as well. Let us help you get to the root of your problem, and clear and heal past remorse and shame, so that you can replace it with your true calling, your higher purpose in life. Are you ready to say YES to you? 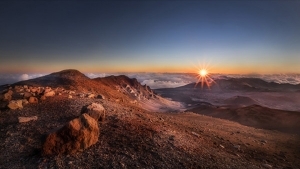 We offer custom packages that include accommodations, detox treatment program, food, spiritual daily sessions, along with sacred site tours, all on the beautiful island of Maui. Pricing for this 28 Day Addiction and Recovery Retreat all-inclusive package is $29,500. Includes: 28 day Health and Wellness Detox Program and Recovery Itinerary, Accommodations, 3 Healthy Meals and Snacks Daily, Transportation. Clarity Coaching: Confusion and uncertainty drain our energy and keep us from moving forward in our lives. This session is designed to help you obtain clarity on your current life situation and give you tools to maintain this level of clarity when you return home. Through guided imagery, life coaching and other practices, your practitioner will assist you in making aligned decisions and mapping out the next steps of your spiritual journey. 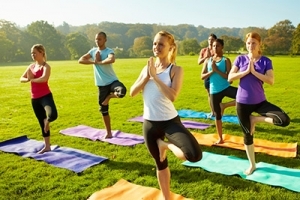 The healing benefits of yoga are recognized by doctors, researchers and spiritual leaders alike. But starting a practice can be daunting! Whether this is your first experience with yoga or you have been practicing for 30 years, our seasoned yoga practitioners will guide you through a rejuvenating session, custom tailored to your current skill level. Embark upon your yoga journey or bring your practice to a whole new level with the support of Maui’s warm, tropical environment, and clean, alkaline air. Let us welcome you to your retreat experience with true Aloha Spirit! In your first session, your practitioner will walk you through the components of your personalized retreat, explain the process of personal growth and lasting change, and help you create powerful intentions that will set the tone for your entire retreat experience. In this session, we also complete a nutritional assessment to bring to the surface the physical symptoms you are experiencing and a neurofeedback assessment in order for us to develop your customized protocol. This session will “set the stage” for your deeply transformative retreat experience. Neurofeedback is direct training of brain function, by which the brain learns to function more efficiently. Neurofeedback is training in self-regulation. Self-regulation training allows the central nervous system to function better and is a necessary part of good brain function. Neurofeedback addresses problems of brain disregulation. They include the anxiety-depression spectrum, attention deficits, behavior disorders, addictions, various sleep disorders, headaches and migraines, PMS and emotional disturbances. For individuals seeking sustainable sobriety and recovery from substance abuse and/or co-occurring mental health concerns neurofeedback translates into significant increases in treatment retention and the ability to succeed long term. Neurofeedback teaches the brain how to be calm, focused, and relaxed to help a person regulate behavior, think more clearly and rationally and reduce impulsivity. Since neurofeedback helps a person manage emotions and mood and improves sleep, adding neurofeedback to an addiction treatment program gives people the necessary tools to help them be more in control, achieve success, and avoid relapse. Addiction to substances and to compulsive behaviors are symptoms of biochemical imbalances caused by a variety of factors, including nutritional, hormonal, neurotransmitter-related, toxicological, psychological, genetic, and environmental. Targeted nutrients and focused detoxification establishes a healthy biochemistry, resulting in neurotransmitter repair and hormonal balance to optimize recovery. Nutritious food and targeted nutrients are the foundation of a healthy recovery. Their integration with psychological and spiritual treatments creates the ideal program for addressing addictive disorders. We teach you what to eat and how to prepare it to correct the biochemical abnormalities that both cause and are caused by addictive disorders. Together we create a long-term plan to address biochemical abnormalities causing symptoms, followed by diving deep into what is standing in your way to take action on your goals. 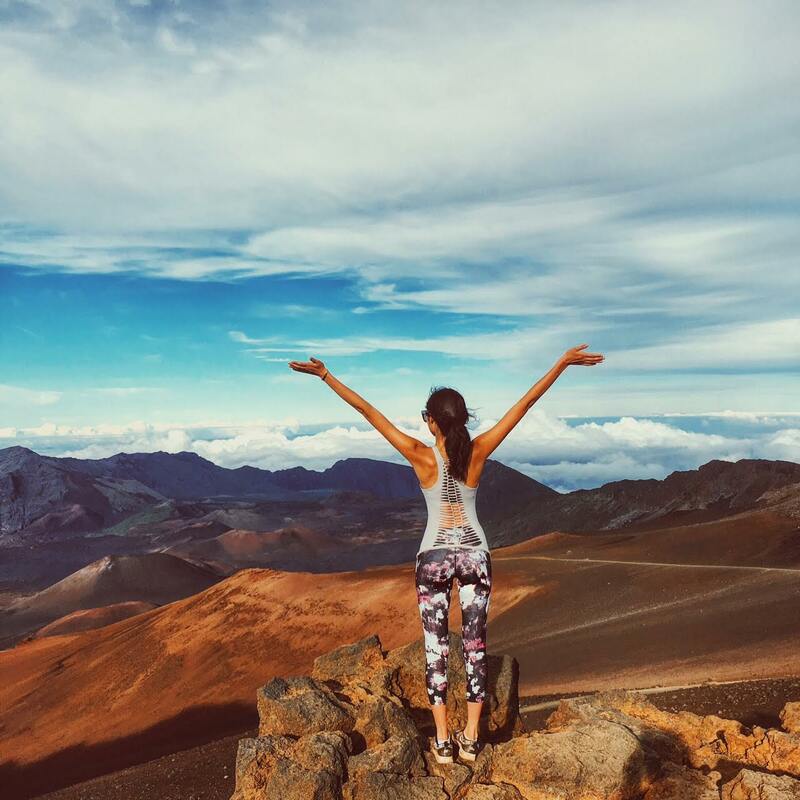 Take an adventure of the Spirit in one of Maui’s most beautiful nature spots. Explore our lush and varied rain forests or world-renowned beaches with a practitioner who will guide you in awareness practices that tap into the depth and power of the present moment. Designed for any fitness level, this guided walk or hike will be an unforgettable experience that will help you cultivate mindfulness and presence anytime, anywhere. Our Transformational Massage Therapists offer massage like you’ve never experienced before! This unique massage technique offers a rare opportunity to rediscover and reinvent the way you inhabit your body. Unlock the body’s restrictive patterns by stretching and mobilizing the muscles and joints while breaking up fascial adhesions and releasing the deep muscle locks that restrict full range of motion. Tai Chi is a Chinese exercise system that uses slow, smooth body movements to achieve a state of relaxation for the body and mind. An ancient practice, Tai Chi is now becoming widely recognized as an effective system for massaging the internal organs, aiding the exchange of gases in the lungs, helping the digestive system become more efficient, increasing calmness and awareness, and improving balance. Experience Tai Chi during your retreat with one of our seasoned practitioners and receive skills and tools to continue practicing when you return home. Relationships create the foundation of our life experience and the harmony or disharmony we feel in our relationships impacts every aspect of our lives! This session provides the opportunity for you to become clear on your deepest relationship desires and teaches you skills for magnetizing those relationships into your life. Also learn how to make subtle internal shifts that will positively impact the relationships you have now. Core belief work is a transformational process that provides you with a direct experience of the reality you have created in order to empower you to shift your current paradigm to make way for what is desired. These sessions will focus on how the meanings we make determine how we feel, what is your baseline ecology, rewiring your brain for behavior change, resolving inner conflict with “parts work” and facilitating alignment so you can have what you truly want without compromise. Recovery coaching is a strengths-based process that supports clients in removing any and all barriers in their present condition that are preventing them from achieving for themselves a solid foundation for continuing on and extending their sober journey. This is done through a process of self-evaluation, challenging one’s irrational thinking and beliefs, developing a more realistic life plan, and taking action on that plan. Dialectical behavior therapy (DBT) is highly effective in treating a wide range of disorders such as substance dependence, depression, post-traumatic stress disorder (PTSD), and eating disorders. DBT teaches you four sets of behavioral skills: mindfulness; distress tolerance; interpersonal effectiveness; and emotion regulation. Cognitive behavioral therapy (CBT) is among the treatments that have been most extensively evaluated and that have shown through research to be effective. CBT helps a person to engage in healthy life activities, particularly activities that are consistent with one’s life values. This therapy also helps people to develop skills and abilities to cope with life’s major events and to learn social relationship skills. CBT also helps to bring awareness to faulty thinking patterns in the mind and enables a person to make positive changes. Through a potent combination of healing gem stones and crystals, sounds and music, your practitioner will help you regain joy and vitality by balancing your chakras. When the chakras are congested or out of harmony, your vital life force is unable to freely circulate, resulting in distress, disease and lack of mind/body integrity. Conversely, when the chakras are uncongested, energy, creativity and vitality can flow. The techniques used in this unique session will help your system find that perfect balance for ultimate mind, body, and emotional healing. Restore balance to your body, mind and spirit with the assistance of Gemcombs. Gemcombs, combs made of various semi-precious gemstones, assist the process of transformation in both subtle and powerful ways when combined with relaxation and meditation. Clear electromagnetic pollution, ground your energy, and strengthen your ability to combat radiation. The gemcombs will be used to release pain and harmful thought patterns from your energetic field. We communicate with others every day and how we communicate — with our friends, children, partners, co-workers and everyone else — makes up the quality of our lives. In this session you will learn how to cultivate positive speech patterns to achieve personal and professional enrichment. Using simple communication tools you will promote win-win situations in your day-to-day activities with everyone you encounter. This session also addresses the masculine and feminine energy that resides in each of us and how balancing this energy within ourselves and with others is an important part of communicating. Through specific techniques and movement, the healing secrets of China are revealed one slow, gentle movement at a time. Qi Gong encourages the free flow of energy throughout the body/mind systems. Your practitioner will also use “sacred sound” to move “stuck” emotional energy and transform it to a free flowing, healthy condition. You will depart this session with a daily practice you can use for self-strengthening, raising awareness and healing. Transformational Kinesiology TK®) is a form of transpersonal counseling inviting us to transform deeply within, to awaken to who we truly are and engage more consciously in the evolution of consciousness. TK practitioners work, primarily by guided questions and muscle testing, with natural and spiritual laws to help transform limiting beliefs and release outmoded ways of seeing and being. The result is unexpected learning, profound healing, and greater freedom to ‘be’. This session is a wonderful primer for anyone wanting to integrate oils into their everyday life. Aromatherapy uses absolutely pure plant-based essential oils to treat physical, emotional, mental and spiritual ailments. We will explore 12 oils in depth, from their origins to their everyday uses for regenerating, releasing, relaxing and rejuvenating. This can be both a treatment-based and education-based session, teaching you to utilize essential oils at home for their on-going and long lasting effects in your life. Lasensua will customize the theme to meet any specific needs, such as oils for Immune and Respiratory Support, oils for Musculoskeletal Pain, oils for Grounding, or any theme requested. Client will leave with a customized roll-on & spritzer for immediate use. CBT is among the treatments that have been most extensively evaluated and that have shown through research to be effective. CBT helps a person to engage in healthy life activities, particularly activities that are consistent with one’s life values. This therapy also helps people to develop skills and abilities to cope with life’s major events and to learn social relationship skills. CBT also helps to bring awareness to faulty thinking patterns in the mind and enables a person to make positive changes. The Hawaiian Honu (green sea turtle) symbolizes wisdom, longevity, patience and survival. The Honu is the teacher of the art of grounding. When you learn to ground yourself to earth’s power and strength, you place focus on your thoughts and actions and use the earth’s limitless energies rather than your own to accomplish your will. As we tap into nature there is a good chance to find balance in our lives. Turtles remind us the way to heaven is through the earth. The turtle reminds us that all we need for all that we do is available to us, if we approach it in the right manner and time. Many of us have learned to disconnect from the wisdom of our hearts, cutting us off from our powerful, inner wisdom. Without the navigation system of our heart intact, it can be difficult to make decisions and take action in a way that serves our highest good. Tap into the high awareness of your heart as you discover and release blocks that are preventing you from accessing your subtle inner voice and experiencing joy. Mindfulness means paying attention in the present moment without judgment. Through mindfulness meditation, you will be guided in connecting with your own inner resources that can enable you to manage stress, enhance productivity, and live happily ever after. You will learn tips and tools to help you be mindful in everyday life, as well as the neuroscience behind why mindfulness works. With your session, you will also be given access to a mindfulness meditation to listen to at home. The practitioner takes the time with each client to make an intuitive diagnosis before starting the healing session. The healing session expands to all levels of the emotional, mental and physical fields of the body beginning with the subtle etheric body. Each client experiences the sessions quite differently, however sufficient energy is there to allow it to flow, expand and heal wherever it’s needed. The client’s chakras and meridian points are balanced so that the client experiences an even flow of Chi throughout their body. The practitioner opens blockages and clears stuck energy leaving the client feeling more balanced and relaxed to then experience their personal lives and environment with more openness and joy. When needed, the practitioner, using the tools of an amethyst crystal, visualizations, and the kinetic energy flow from the Dantien as a focal point, performs an energetic adjustment on C1 (atlas) and C2 (axis).Reiki is an ancient hands-on energy healing modality that promotes relaxation and relieves stress. EMDR is a counseling technique that has been scientifically researched and highly effective for the treatment of trauma, anxiety and Post Traumatic Stress Disorder (PTSD). The mind can often heal itself naturally, in the same way as the body does. Much of this natural coping mechanism occurs during sleep, particularly during rapid eye movement (REM) sleep. Francine Shapiro developed EMDR in 1987, utilizing this natural process in order to successfully treat PTSD. Since then, EMDR has been used to effectively treat a wide range of mental health difficulties. What makes you who you are? Discover more of you and your hidden higher purposes in your DNA through Gene Keys. Gene Keys is a synthesis of ancient teaching, western and eastern alchemy, quantum physics, and epigenetics. Your uniqueness is a gift to the universe. You are the one and only piece of the puzzle that is the collective consciousness. Be you and become more of you in every moment. Whether you’re a complete beginner or an advanced surfer, Sally is your gal. Depending on your level, Sally will cater to your needs in finding the perfect break/wave for you. Sally started surfing in her late 20s and has surfed all through the Pacific. Her love of the ocean is palpable, which translates to her love of teaching. Your surf with Sally will leave you with a feeling of pure joy: joy of the ocean; joy of the dance of the ocean. Family Constellations access the most nourishing, meaningful and difficult dynamics in your family ancestry. We all carry within us behaviors and thoughts passed to us from our ancestors. By honoring ancestral consciousness, you can heal deep seated trauma within yourself and your ancestral lineage, discover your true self and open your life to new possibilities for passion, purpose and love. 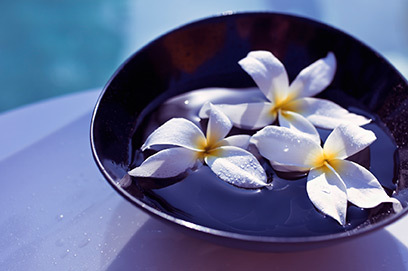 Make your Maui retreat a healing experience for the past, present and future! Emotional Freedom Technique (EFT) is a powerful healing tool that can help you release traumas, fears, grief, anger & any “stuck” feelings in your life. Our practitioners will help you understand the physical, mental, emotional, spiritual communication system within your being and give you multiple tools so that you can navigate through your world with more ease, fulfillment and joy! Synthesize what you have learned and experienced on your retreat so you can maintain your new sense of strength and clarity at home. Your practitioner will help you “connect the dots” and create a plan for implementing the tools, practices and skills you have learned into your everyday life. Learn the secrets of creating lasting change so new habits and patterns of behavior can emerge — ensuring that your retreat has long-lasting, positive effects on your life!